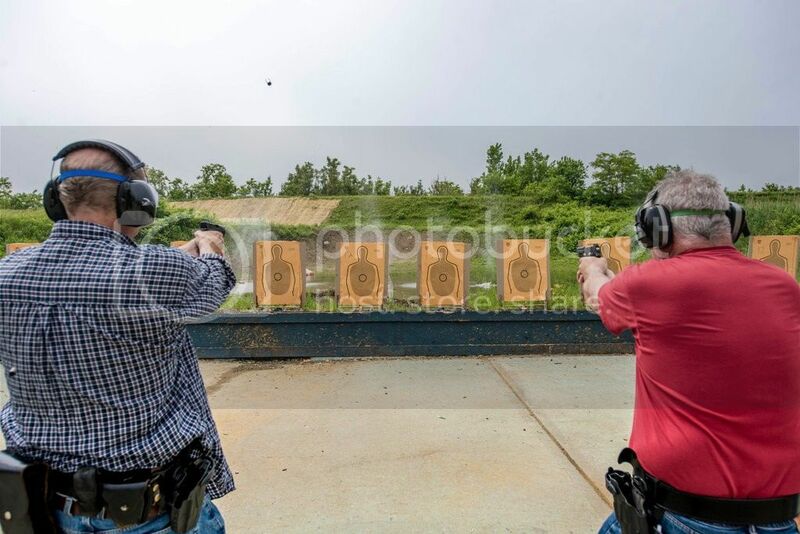 About 50 officers still carry the storied six-shot revolver that became the standard department firearm in 1895, but the weapon is being phased out. Plenty of things have changed about the New York Police Department since Lt. James Darcy joined in 1987. Until now, the service weapon swinging at his hip, a .38-caliber Ruger Service-Six, has not been one of them. The gun, a blued steel revolver with diamond-shaped etching on its curved wooden handle, became popular after it was introduced in the 1970s, but it will soon go the way of the wooden nightstick. Lieutenant Darcy, 54, who patrols public housing in Queens, is one of about 50 officers who are required to retire their service revolvers by the end of August as the Police Department parts ways with the handguns that defined policing for a century and that bestow gravitas on the officers who still carry them. 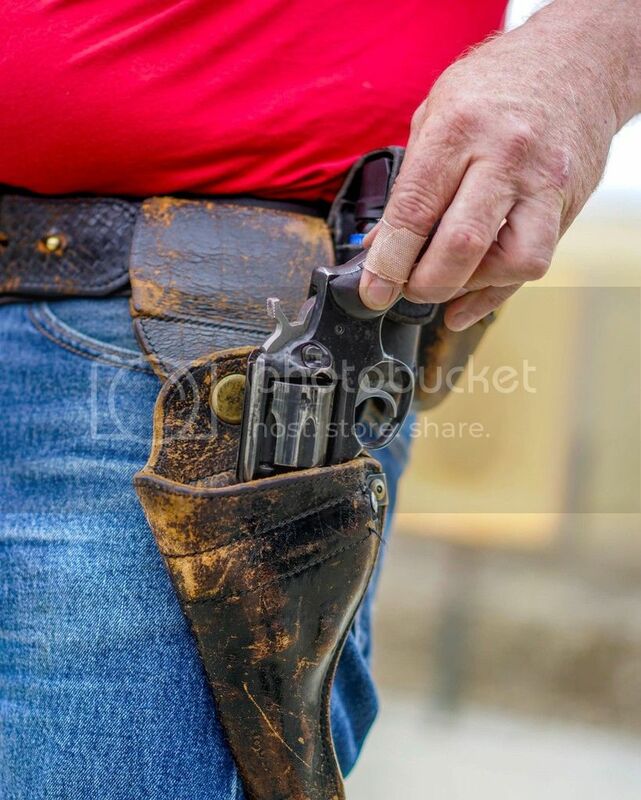 Surrounded by the rapid pop of semiautomatic pistols fired by other officers, Lieutenant Darcy squatted on the firing line as he drew his revolver, a relic that harked back to a time before gun violence in America reached epidemic levels and spurred the Police Department and most other law enforcement agencies to switch to semiautomatic weapons. By late morning, Lt. Darcy was standing on another firing line with 25 officers who also carried the six-shot revolver during some the city’s most violent years. But now they were all holding the 9-millimeter semiautomatic pistols that have been the department standard since 1993, when they were adopted to help combat the perception that officers on the street were outgunned by criminals. By then, the police were confiscating more semiautomatic guns from crime scenes and and several police officers across the country had been killed in gun battles while reloading their revolvers. One was Scott Gadell, a rookie who was killed chasing a suspect on foot in June 1986 in Far Rockaway, Queens. Although police shootings have declined over the years and most officers never fire their weapons in the line of duty, officials said it was still necessary to complete the transition to semiautomatic weapons in a policing era where terrorism and active shooters are omnipresent threats. Revolvers became the standard firearm for city police officers in 1895, and they remained the dominant weapon in policing for much of the 20th Century. More than 2,000 city police officers still held on to the revolvers over a decade after Sig Sauer and Glock pistols became standard. Their numbers dwindled with each wave of retirements, to 160 by the time the Police Department announced in November that it was phasing out revolvers completely and permanently. But the change has been met with resistance from officers reluctant to set aside the revolvers that they regard as old friends for unfamiliar pistols that have twice the capacity but are susceptible to jamming. Officer Mary Lawrence, a crime prevention officer in the 103rd precinct in Queens, said that was never a concern with the Smith & Wesson revolver that she has used over her 26 years with the department. Their reluctance aside, the officers concede that events like the school shooting in Parkland, Fla., offered signs that it was time to move on. Last edited by Jcordell; 06-08-2018 at 02:24 AM. Good article but I think it has a little too much of the sociopolitical jabbing and commentary in what should be mainly a sentimental historical perspective piece. At least for my liking. Of course we have a long-time police veteran here to fill us in on his perspective of swapping the spinner for a semiauto and if he himself would feel 'outgunned' with one today or not. But in a way that's something else for some other time. So, anyway, still a great article and sorta sad news. Though honestly I'm surprised there were still guys 'on the job' still luggin' wheelguns in places like NYC. I've been a police officer since 2000 and I've always carried a semi-auto. I started with a Sig P220 (45 ACP), switched to the now discontinued Sig P245 when I made detective in 2003 and then the Glock 19 in 2006 when my agency went to a uniform issue. I was offered the Glock 21 but I don't like the grip of the 21. I have smallish hands. Now there is the 21SF/Gen 4, but I'm sticking with the Glock 19. I like the model. Plus it's an easier pistol to carry off-duty. My father was a cop from 1970 - 1994 (Idaho State Police). He was there for the big LE transition to semi-autos. He went from the Smith & Wesson Model 65 (357 Magnum) to the Smith & Wesson Model 4586 (45 ACP/DAO) in 1991. He liked the pistol, but he never felt outgunned with a revolver. He did notice that there was less propensity for officers to blaze away with revolvers, but he liked the fact that the semi-auto could be reloaded a lot faster. He did speculate that in a gunfight there was a possibility that a bullet could strike the slide and put the pistol out of action. However he figured he was just worst-casing it. Sadly in 1998 Idaho State Trooper Linda Huff was ambushed. She managed to shoot her killer, but he actually struck her pistol and put it out of action. I have been here for the big changeover from the 12 gauge pump shotgun to the AR-15 "platform" (I miss when it was just the AR-15 rifle/carbine). I was literally the last officer with my agency to carry the Remington 870. I was ordered last year to turn it in and pick up my brand new Daniel Defense M4 carbine that had been waiting for me for several months. Rifles definitely have their place, but so does the shotgun. However times, attitudes and tactics change. All the Remington now have bright orange furniture and shoot beanbag rounds. Well I inherited both dad's Model 65 (ISP sold them to troopers for a very reasonable sum when they switched to autos in 91) and his 4586 (gifted when he retired) and they're great handguns. I wonder if that old Ruger Service Six had its factory trigger. Between keeping a revolver with a factory trigger and the option for single action or a Glock with 15 rounds but the NY2 trigger, that'd be a tough call for me. He did speculate that in a gunfight there was a possibility that a bullet could strike the slide and put the pistol out of action. However he figured he was just worst-casing it. Sadly in 1998 Idaho State Trooper Linda Huff was ambushed. She managed to shoot her killer, but he actually struck her pistol and put it out of action. Isn't a revolver just as vulnerable to a barrel shot? I saw those posts about you having the DD in another thread JC and it's a shame to hear you had to trade up the 870 for it. Revolvers I'll grant are outmoded in many respects but I most certainly agree even now a good riot gun still has its place beyond a less lethal "platform". But you get what you get and as you say, times and attitudes change. It's a shame, in more ways than one, but again, a talk for another time perhaps. That said I'm glad to hear you inherited those old pieces. I love my nickel Model 13 and still want to get a good Smith 45XX at some point. But not with a twelve pound trigger. Jeez, I’m only in my early-30s, and this article makes me feel old. I’ve visited NYC every year since I was 7, and I’m old enough to remember when you still sometimes saw NYPD officers carrying revolvers.